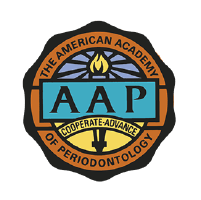 Dr. Aalam is the first periodontist in the US to have trained in and performed advanced platelet-rich fibrin. Utilizing the patient’s own blood, this therapy can enhance hard and soft tissue grafting procedures. Not only does the treatment reduce healing times, but it also decreases pain and swelling and improves overall patient experience. Dr. Aalam is committed to providing each of his patients with the highest care and best dental treatment therapy. His goal is to help patients achieve a healthier smile and overall oral health through pain-free and gentle treatment. Dr. Aalam became a Doctor of Dental Surgery at the University of Nice Sophia Antipolis, France, in 2000 and enjoys fluency in both English and French. He then went on to complete his certificate in Advanced Periodontology and Implantology at the prestigious University of Southern California in 2003. After completing his advanced periodontal certificate, Dr. Aalam stayed on at the USC School of Dentistry as a Clinical Assistant Professor in the Department of Advanced Periodontics, where he has spent the last decade training and giving back to future periodontists. Dr. Aalam has recently been appointed to serve on the Board of Governors for the USC Alumni Association as the Representative for the USC School of Dentistry. 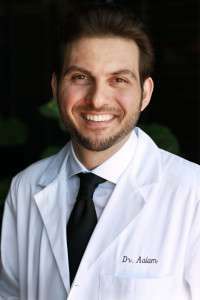 Today, Dr. Aalam is one of only two dual Board Certified Periodontists in Brentwood, the other being Dr. Alina Krivitsky. 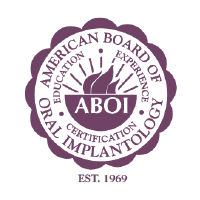 He is also the only Diplomate of the American Board of Oral Implantology in the Brentwood area. 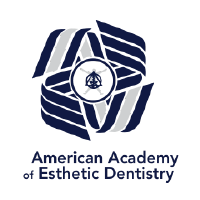 Dr. Aalam is a member of the American Dental Association and the American Academy of Periodontology. 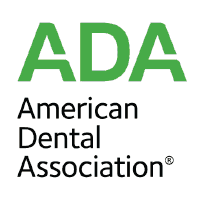 He is also a committee member of the Iranian American Dental Association. 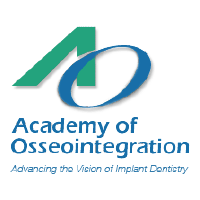 As an active member of AO (Academy of Osseointegration), this dental practice offers advanced specialized knowledge about the science and clinical applications of implant dentistry. Aalam AA, Olsburg S. Eruption force et developement du site implantaire: Une reponse osteophysiologique. Inf Dent 2004, 86(28): 1807-1811. Aalam AA, Nowzari H. Clinical Evaluation of Anodic Oxidation, Dual Acid Etched and Machined Implant Surfaces. Int J Oral Maxillofac Implants 2005, Sep-Oct; 20(5): 793-8. Slots J, Jorgensen M, Aalam AA. Periodontal Antimicrobials – Finding the Right Solutions. Int Dent J 2005, Feb; 55(1): 3-12. Aalam AA, Reshad M, Chee W, Nowzari H. Surgical Template Stabilization with Transitional Implants in the Treatment of the Edentulous Mandible: A Technical Note. Int J Oral Maxillofac Implants 2005, May-Jun; 20(3):462-5. Aalam AA, Nowzari H, Krivitsky A. Immediate Functional Reconstruction of Completely Edentulous Mandible. Clin Implant Dent Relat Res 2005, 7(1): 10-6. Aalam AA, Nowzari H. Mandibular Cortical Bone Grafts. Part 1: Anatomy, Healing Process and Influencing Factors. Compend Contin Educ Dent. 2007 Apr; 28(4): 206-12; quiz 213. Review. Aalam AA, Nowzari H. Mandibular Cortical Bone Graft. Part 2: Surgical Technique, Applications and Morbidity. Compend Contin Educ Dent. 2007 May; 28(5): 274-80; quiz 281-2. Review. Reshad M, Cascione D, Aalam AA. Fabrication of the Mandibular Implant- Supported Fixed Restoration Using CAD/ CAM Technology: A Clinical Report. J Prosthet Dent 2009; 102:271-27v. Mirmarashi B, Torbati A, Chee W, Aalam AA. Orthodontically Assisted Vertical Augmentation in the Esthetic Zone. J Prosthet Dent 2010.